When should you collect sales tax? How much should you collect? Where do you remit taxes? What are the various state-specific rules to be aware of? As a heads up, there are a lot of moving pieces when it comes to this aspect of business taxation. And, doing it on your own, comes with the financial risk of large penalties. However, the good news is that by using the outsourced accounting services of firms such as Ignite Spot, you can gain peace of mind by ensuring your business remains compliant. Not all states have a combined state sales tax based on locality. 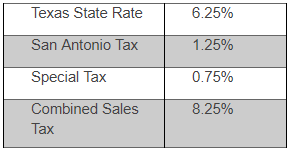 For instance, Maryland has a standard sales tax rate throughout the state. Differences arise from state-to-state because state tax is governed at the state, not federal level. In other words, there’s no “national” sales tax law in the United States, complicating matters for small businesses that specialize in online sales. If your business fits into this category, then you might find yourself dealing with vastly different sales tax rules and laws in different states. However, as a business owner, the responsibility lies with you to charge the correct amount of sales tax in each state you sell products to, regardless of where your business is based. Once collected, you must then remit the collected taxes back each specific state. There are a few criteria that must be met before you start collecting sales tax for your online sales. Food for home consumption (i.e.groceries) isn’t taxable in thirty-two states as well as the District of Columbia. In the state of Pennsylvania, clothing isn’t taxable. Therefore, you would not charge sales tax on clothing bought from your online store by a Pennsylvania customer. NOTE: If you aren’t sure whether an item is taxable or not, you can double check the rules for that state, here. Personnel: An employee, contractor, salesperson, or anyone doing work for your business. Affiliates: An affiliate is someone who advertises products for you in exchange for a commission. NOTE: You will always have a nexus in your home state. Staying compliant with state sales taxes can be difficult for any business, especially an e-commerce or small business that sells a variety of products to customers across state lines. It can be challenging to determine the specific states in which you must register for a sales tax permit, not to mention the process of collecting sales tax and reporting to specific states. Failure to comply with state sales tax regulations has the same penalty as not paying federal taxes. One of the most important steps for collecting sales taxes is to register for a sales tax permit. This will allow you to collect sales tax as well as file for the taxes you’ve collected. In many states, it is illegal to collect sales tax without a valid permit. Where should you register for a sales tax permit? If you happen to have a sales tax nexus in a state, and the products you’re selling are taxable in that state, then you must register for a sales tax permit in order to collect sales tax from buyers in that state. You can register for a permit with each state’s taxing authority also known as the “[State] Department of Revenue”. During the registration process, be sure to have all your personal, business and other identifying information handy. Each state has different requirements you must follow to acquire a sales tax permit since this is not regulated at a federal level. Once everything checks out, you will be issued a sales tax permit. The taxing authority will also outline the tax filing frequency based on your sales volume in that state. Filing times are usually monthly, quarterly or annually. The more you collect, the more frequently you must file. Online jewelry seller, Jeff sells items from Annapolis, MD where he resides. Since Maryland is a destination-based sales tax state, when Jeff makes a sale and ships items to a buyer in Baltimore, MD, he is required to charge his customer the Baltimore sales tax rate and not the Annapolis sales tax rate. On the other hand, Sam who sells clothing items from her home in San Antonio, TX must charge an origin-based sales tax. When Sam makes a sale to a customer in Houston, TX she must charge that customer her home rate of 8.25% in San Antonio. She does not charge the customer the Houston tax rate. Did you know that states also have different requirements for how they handle in-state versus “remote” sellers? You are considered a remote seller if you have a nexus in a state in which you are not based. Typically, remote sellers are required to use the destination-based rate based on the location of the customer even if they have a nexus in an origin-based state. This point means that remote sellers tend to benefit more than a traditional brick-and-mortar business for origin-based states. After figuring out which tax rate you should charge customers, you must collect the correct amount from each transaction then report this information to the states in which you are registered. Each state has different reporting requirements. Some require sales tax collections to be reported on a monthly, quarterly, semiannual, or annual basis. Other states have various due dates for reporting prior period sales tax collections. Many states use the 20th of the month as the deadline for presenting any taxes collected for the prior period. The seller is responsible for reporting the amount of business tax collected to each state. However, there are multiple layers to this process because they must calculate how much tax was collected from each city, county and/or municipality. Some states only allow electronic filing of these payments. You can find out the required payment method for each state at the time of registering for your permit in order to prevent any delays in filing. NOTE: You should always file a sales tax return by the prescribed due date, even if you didn’t collect any sales taxes from buyers for that taxable period. Otherwise, you may face a penalty from the state(s). Keep detailed and accurate records. This must include states in which you have a nexus along with their sales tax filing requirements. Keep a note of taxable products, the state tax filing frequency and how to remit tax payments. Remember to determine whether sales tax is based on destination or origin. Take advantage of discounts. Some states offer retailers with a tax deduction because they realize the hassle involved with sales tax filing. Create an action plan to stay sales tax compliant. Look for an efficient, accurate and cost-effective way to manage sales tax collection especially if you do business in several locations, within and between multiple states. 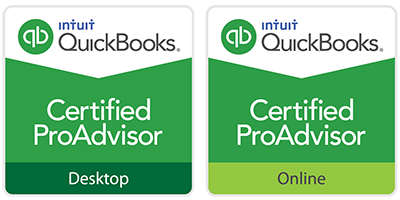 For example, QuickBooks can assist with determining sales taxes for various locations. Understand the ins and outs of reseller arrangements. Any reseller must show valid proof of a reseller’s permit. Be sure to keep a copy of this permit since the reseller isn’t responsible for paying taxes on these purchases but rather the final buyer. In summary, the topic of state sales tax is a complex one that is often overlooked by many small business owners. As your business continues to grow, you may need help to manage your sales taxes to ensure compliance. 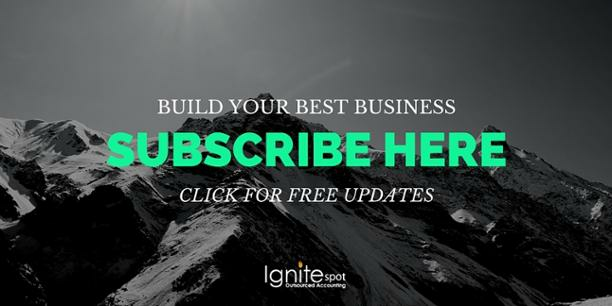 This is where outsourced accounting services like those offered by Ignite Spot will prove invaluable. Our accounting staff will help you to automate the process of calculating, reporting and remitting sales taxes accurately. Furthermore, if any of your prior sales tax returns have been filed incorrectly, there is no need to panic. We'll start by contacting your state tax authority and create plan to get back on track. We will review your transactions each period and determine your liability. We will prepare the sales tax return. The cash requirement will be sent to you for approval. Once approved, we will file the return with your state. By leaving these processes to us, you can focus on what it is that you do best. In other words, taking good care of your customers, growing your business and gaining a competitive advantage in your industry. Contact us to make an appointment to see how our outsourced accounting services can meet your needs.